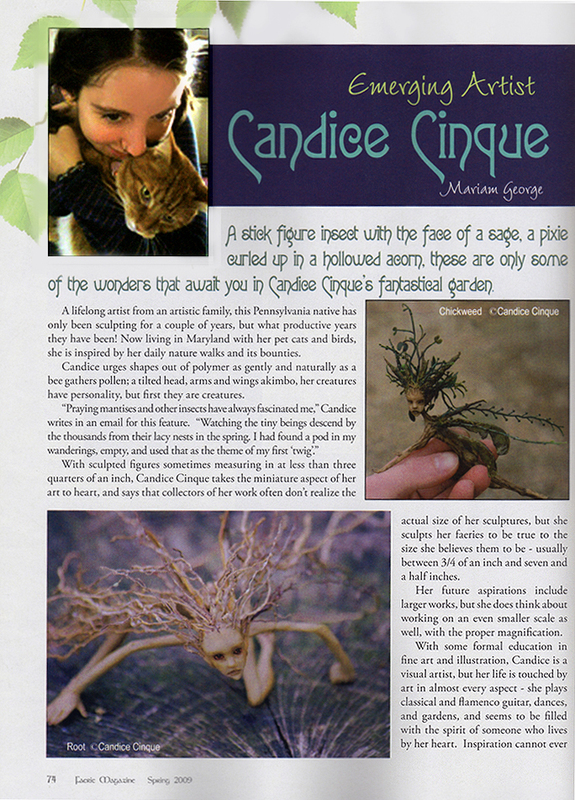 I am featured emerging artist in the Spring edition of Faerie magazine. 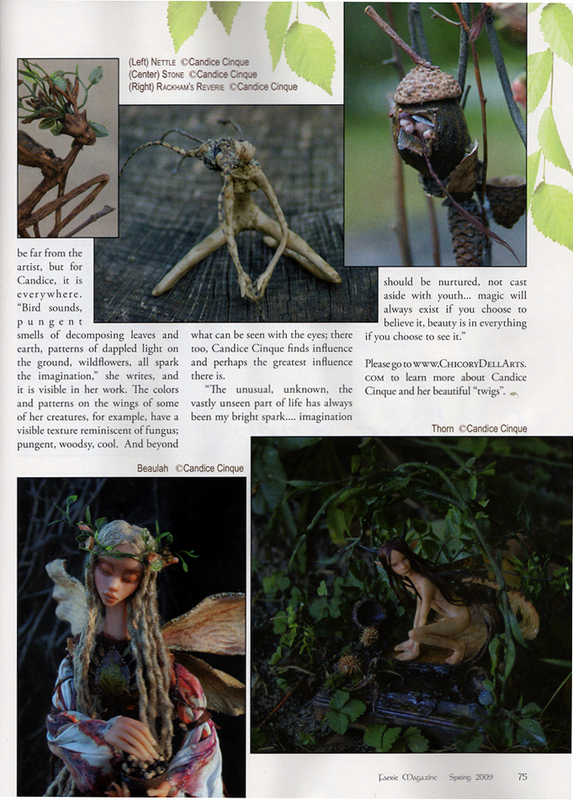 If you have a chance to look at it, I was lucky enough to get a two page spread. At the moment I am having no luck getting my scanner to cooperate, it keeps quitting on me, but hopefully once it is working I can post it up here in the sidebar. On another note.... I have a new auction up on ebay, a tiny 2'' delicate faerie with a sweet face and mohair pigtails. She will be up until next Sunday, if you like you can take a peek! Here are a couple of images for you to preview. I am also working on a 1:12 scale figure based on a Waterhouse painting.. Ophelia. I'll be posting photos in a few days, so check back for details!